Alabama Rivers Alliance, Energy Alabama, and Flint River Conservation Association (FRCA) are proud to bring Wild & Scenic Film Festival to Huntsville for the fifth year! Wild & Scenic Film Festival comes back to Huntsville on January 26 at Straight to Ale! Join us for an evening of celebrating the great outdoors through film that will leave you feeling inspired and engaged. The program will feature short films and documentaries highlighting adventures to be had as well as important issues to be addressed. Experts from across the state will be on hand to help answer any questions and provide guidance on how you can get involved locally and throughout Alabama. Plus we’ll have door prizes! Each ticket includes a membership to Alabama Rivers Alliance and Flint River Conservation Association (FRCA). Pricing: $10 for general public | $5 for students, military and senior citizens (65 or over) Click here to buy tickets now! Tickets include an annual membership to ARA and FRCA! Click here to see the selection of films for 2017. Special thank you to our 2017 Wild & Scenic Sponsors! It’s a festival for activists by activists. The home event is organized and hosted by the South Yuba River Citizens League in Nevada City, CA. Thanks to funding from national partners, the festival goes on tour across America to reach audiences across the country. 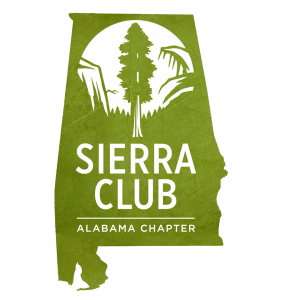 In Alabama, it is hosted in Alabama by the Alabama Rivers Alliance and community partner groups in each city of the tour. What kinds of films are shown at the Wild & Scenic Film Festival?